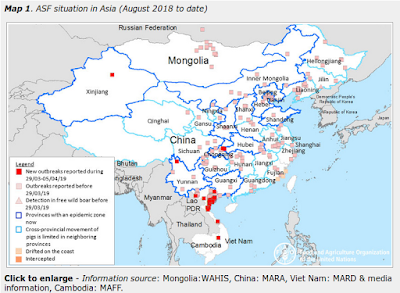 Although sporadic asymptomatic MERS cases have been detected via contact tracing and prospective testing during outbreaks, we really don't have a good handle on their incidence in the larger community. Like most viral infections, MERS-CoV can produce a wide range of symptomology, and many mild cases likely go undiagnosed. In April we saw two asymptomatic cases announced by the Saudi MOH, while in March they reported three. Today the MOH reports a new asymptomatic case - a household contact of a symptomatic case - in Riyadh. For the vast majority of community acquired cases, the source of infection remains a mystery. Asymptomatic carriage and transmission offers one plausible, if not proven, explanation (see Study: Possible Transmission From Asymptomatic MERS-CoV Case). The World Health Organization interim guidance on the Management of asymptomatic persons who are RTPCR positive for Middle East respiratory syndrome coronavirus (MERS-CoV) Interim Guidance, calls for asymptomatic PCR-positive MERS cases to be isolated, and for their contacts be monitored as well. But up until last fall, and contrary to WHO advice, the Saudi MOH didn't treat PCR positive MERS-CoV cases as `real cases’ unless they were symptomatic. Now that the Saudis are taking asymptomatic cases more seriously, we have a better chance of discovering what role they may play. For more on the possibility of there being some limited `stealth’ transmission of the virus in the community see The Community Transmission Mystery.